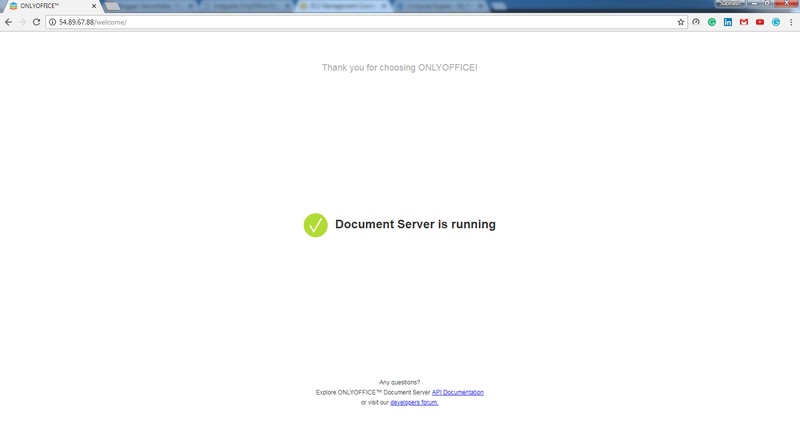 Document Server is running now. Then run the commands below to set the correct permissions for onlyoffice to function. Edit config.php for onlyoffice permission. Access Nextcloud, Go to Admin icon and click on ‘+ Apps’ button. Here it asks for an admin password. give a Password and Confirm. Click on Additional Settings in Left Panel bottom. Scroll down to ONLYOFFICE options and give Document Server address and click on Save as per below Screenshot. Now it's done and let's start to create documents. 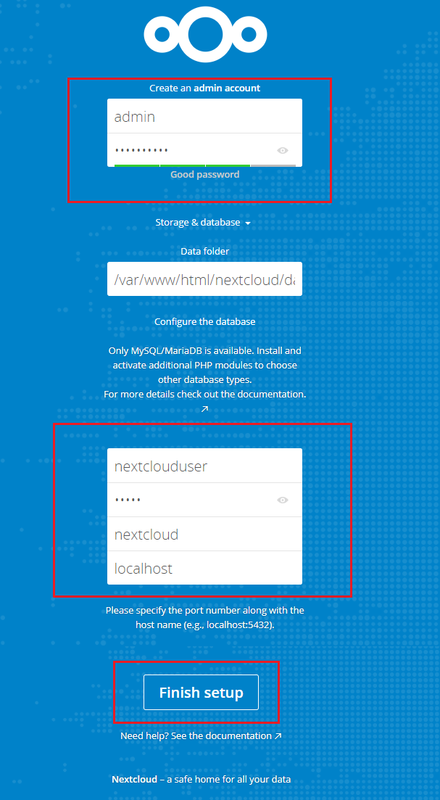 This post shows you how to install NextCloud on Ubuntu 16.04 LTS with Apache2, MariaDB, and PHP. NextCloud is a fork of OwnCloud. Like DropBox and other cloud storage services, NextCloud and OwnCloud provide similar functions and unlike the others, they both are free to use. This brief tutorial shows students and new users steps to install and configure NextCloud on Ubuntu 16.04 LTS Servers their own environment. 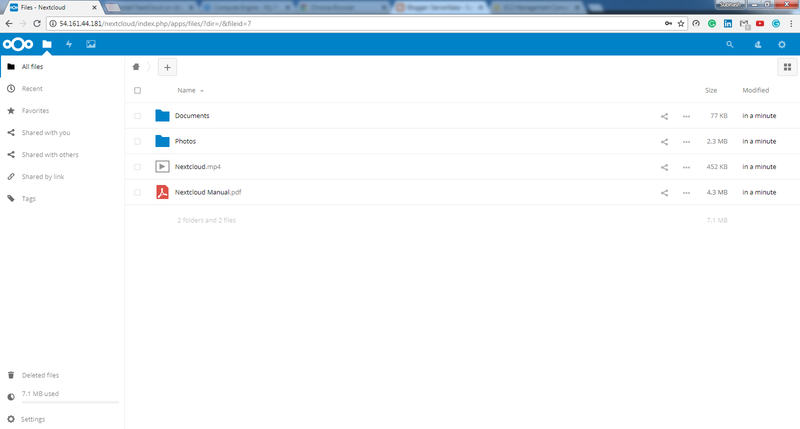 Next, visit NextCloud site to download your free copy. The community edition is what you’ll want to download. Then open your browser and browse to the server_ip/nextcloud. You should see NextCloud setup wizard to complete. Please follow the wizard carefully. Amazon WorkSpaces is a fully managed desktop computing service in the cloud that allows its customers to provide cloud-based desktops to their end-users. Through this, the end users can access the documents, applications, and resources using devices of their choice such as laptops, iPad, Kindle Fire, or Android tablets. This service was launched to meet its customers rising demand for Cloud-based 'Desktop as a Service' (DaaS). Step 1 − Create an AD Directory using the following steps. Go to Amazon WorkSpace service in AWS management console. Step 2 − Create a WorkSpace using the following steps. Select the cloud directory. Enable/disable WorkDocs for all users in this directory, then click the Next Step button. A new page will open. Fill in the details for the new user and select the Create Users button. Once the user is added to the WorkSpace list, select Next. A review page will open. Now workspace creating process is started, it take's approx 15 minutes. After sometimes it shows your workspace status is Available and as well as user got a confirmation mail. Follow instructions mentions in mail and setup credentials. Connect to the WorkSpace by entering the username and password for the user. Select Sign In. Easy to set up − Customers can choose AWS WorkSpaces plans of their choice and provide requirements such as CPU type, memory, storage and applications, and a number of desktops.